Congratulations to our young Texas – USA ambassadors Louise Zeng (Houston), Aldo Ceniceros (El Paso), and Aime Turberville (San Antonio) who have been selected to travel to Columbia in July, 2017 with the Youth Ambassador Program. After a very competitive selection process, Partners selects youths with limited international travel experience to join this program with the goals being to foster mutual understanding across countries, increase leadership capacity, and develop a commitment to community service. Many of the youths selected are already very involved in projects in their communities. During this experience they will develop their planned community project and will bring it to fruition upon their return. 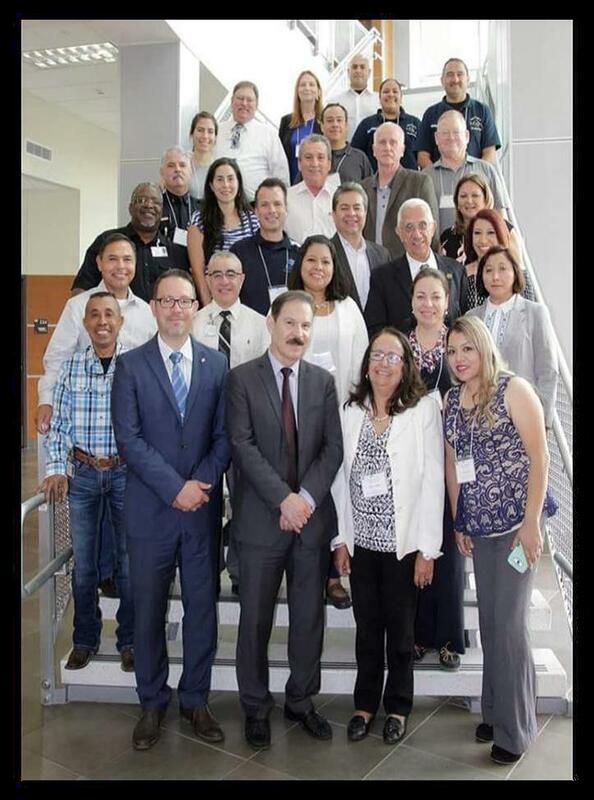 The First Binational Meeting of Emergency Medical and Paramedical Technicians was held in San Antonio, Texas from June 1st to 2nd , 2017. Organized with the support of the Alamo College District, led by Ms. Carol Fimmen, and Texas Partners, it addressed emergency medical service programs. An international collaborative meeting was held on the importance of standardizing pre-hospital services offered by paramedics. The Mexican consul in San Antonio was present,in addition to the director of the Alamo College District, foundations, NGOs, firemen and paramedics from Texas. Executives of the technological universities that have promoted the programs of TSU of paramedics and the creation of the Bachelor in Civil protection also attended. The Technological Universities of Mexico (TSU) presented advances, challenges, protocols and services. The facilities of the Alamo College, Nursing School at Alamo, were visited, where they give certifications and classes on nursing and medicine. Working groups were formed and important topics such as donations, international exchanges, certifications and double degrees were discussed. This Binational meeting culminated with a reception at the Mexican Consulate. 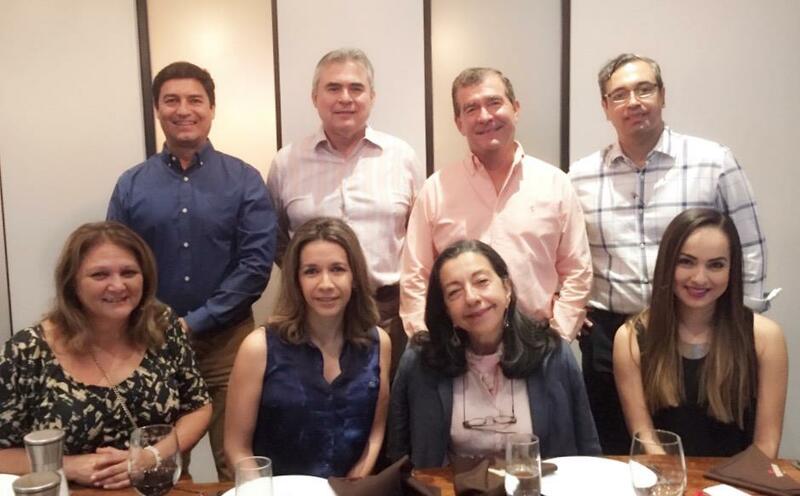 On Saturday, June 3rd, efforts were made to continue the process to charter former fraternities with counterparts with Texas-Mexico representing different states in Mexico. A plan of action with the necessary requirements was created and was submitted to Partners of the Americas in Washington D.C.
1. Inquisition about traditional chapters and affiliations. Application review for a chapter (charter). 3. Legal update of the statutes. 4. Recruitment of potential partners. 5. 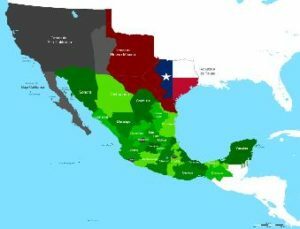 Visit the chapter of Texas to the cities of the affiliations mentioned above. On April 23rd, Consul General of Peru in Houston, Minister Alberto Masa and his delegation honored us with their presence in San Antonio. 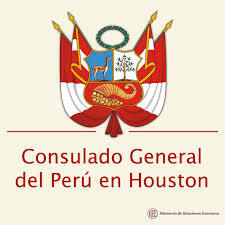 They came to help Peruvian citizens residing in Texas with important personal matters including passport renewal, identification cards, birth certificates, legalization of documents, etc. Thank you to Alamo Community College International Program chaired by Director Carol Fimmen and the Houston Consulate General for ongoing support of this important service. 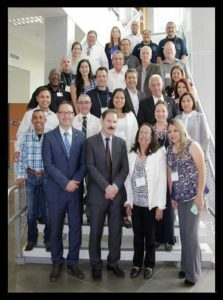 In April, the Texas chapter joined forces with Alamo Community College (ACC) to continue discussions with the Peruvian Ministry of Education to implement the Alamo Colleges Technical Schools model and draw up agreements between the two institutions led by Ms. Carol Fimmen and Dr. Rafael Brisita. Mr. Harry Wing, president of our Peru-Texas counterpart and Iliana Diaz, President Chapter Texas, accompanied us. During this visit, there was a transition of new government leaders who were presented with information about ACC programs. There was mutual interest in continuing efforts to bring technical education services to vulnerable areas, where people have no opportunities to continue studying after completing secondary school. These efforts are based on results obtained during ten consecutive years of intense work with the town of Viña Vieja, Chincha Peru. During this visit the Embassy of the United States, TECSUP and ICPNA were also visited in Lima, Perú. In April, International Humanitarian Aid was initiated through the 911 FUNDS Foundation to send relief to South America following devastating floods in March. Directed by Salvador de Anda, rescue teams were secured and negotiations with non-governmental organizations in the United States coordinated with the Jezreel Foundation were begun. Three – 40 foot containers were immediatley secured through donations. The cost of each container was approximately $400,000 and they contained donated non-perishable foods from Food for the Poor as well as donations of shoes from TOMS, wheelchairs, and sports equipment. The minimum transportation cost per container is approximately $3500 (a significantly discounted price) for storage plus ocean transportation. The process was initiated to be able to continue to send humanitarian aid to Peru as needed. Once specific needs are identified, the shipping containers in Albany, New York will be filled and sent using the process already in place. Donations were received from a private company for Oroya and Catacaos. 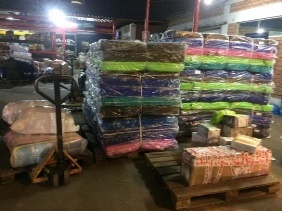 The $3000 used for food, mosquito nets, mattresses, sheets and lanterns were sent to the most needy areas through the coordination of Luzmila Rojas and Iliana Díaz. The donations reached their destinations of Catacaos and Chosica. Ms. Rojas and team coordinated this through the public schools in Piura. Remittances were channeled through TEPSA transport and the Peruvian Area Force. Donations of medical supplies including gauze, bandages, band-aids, diapers, antibiotic ointments, gloves, and more were valued at $ 1000. This activity was led by Abigail Trinidad and the young Texas Ambassadors, Communications Arts High School, Northside Independent School District in San Antonio, Texas. Locally, fundraising efforts were led by the Peruvian Social and Cultural Club in San Antonio. We worked with Ms. Luzmila Rojas, Former Advisor of the Ministry of Education of Peru, Monitor of the National Council of Education and Executive Secretary for the Fight against Poverty. 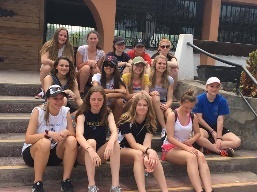 The Santa Maria Home, located in San Juan de Miraflores is run by Mr. Alejandro Ore. Ms. Rojas scheduled volunteers from South West United Calgary, a Canadian women’s soccer team to spend a day with the boys while they were in country in March. The young women, all between the ages of 17 and 19, brought gifts for each boy in the home. Texas Partners donated 120 lunches. The University of Cantuta provided transportation. While the infrastructure is good and the home runs efficiently, there is quite a need for services at this location. The teens age out at 16 and must leave the home. When they leave, they have no vocational skills that would carry them through life. This is the perfect setting for projects for Youth Ambassadors and local volunteers. Among potential activities would be to start a library, teach auto mechanics, teach music, teach every day skills such as proper food preparation, proper cleaning and serving or fixing a toilet. Also mentoring, reading instruction, vocational skills, and coaching teams. Playing sports can teach many life skills such as being a team player, discipline, and success. On March 11, 2017, we held our 10th annual Chaskis 8k run /1 mile walk in the city of Helotes to benefit the town of Vina Vieja, Peru. The participants and volunteers, many of whom attended all ten years, enjoyed the challenge of the run and the festive atmosphere. Over the last ten years many improvements have been made to Vina Vieja, the town that was devastated by an earthquake in 2007. There is now a community dining room, a six-classroom school, playground, library with computers, sports fields, an ecological perimeter fence, a health clinic and very soon the completion of the drinking water project. 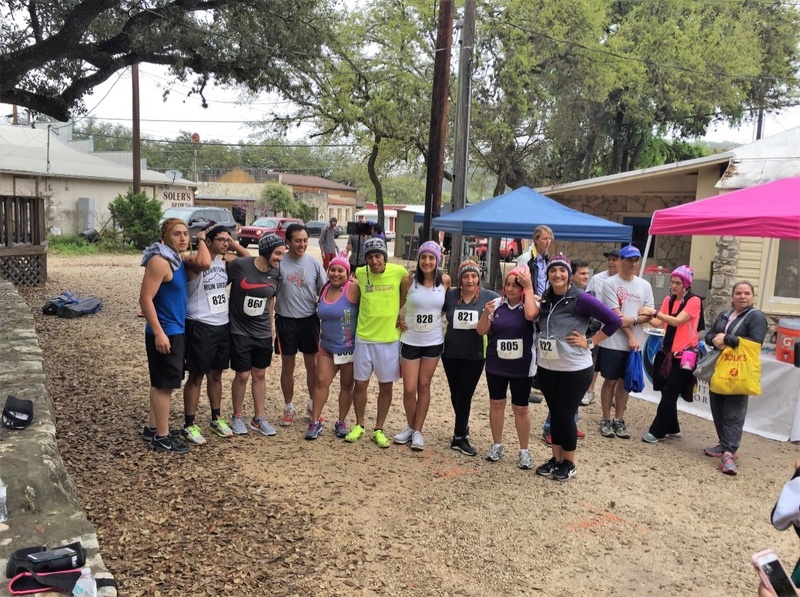 It is with full hearts that we thank any and all who participated or volunteered in any way to support our fundraising efforts to improve the lives of the people of Vina Vieja. Carol Fimmen, Patricia Garza, Alisha Elmore, the Enrico Family, the Dagher Family, Adriana Farias, the Diaz Family, the Rios Family, the Watcher Family, Roger Soler, Leslie Lane Farm, Tiffany Suarez, Barbara Naworol, our wonderful nurses Dr. Lyda Arevalo and Kassandra Hunt, RN, Luchito Paisano (DJ), Vanessa Rojas, and EWB-UTSA Student Chapter student volunteers, Joel and Gabi Pineda, Jose Pomalaza, Dr.Alberto Arroyo, and the Northcutt family. 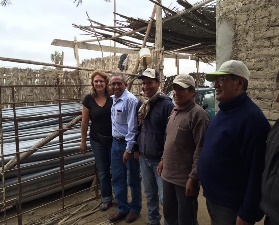 WORKS TO IMPROVE WATER AVAILABILITY IN VINA VIEJA. In June 2016, pipe installations and connections of the submersible water pumps were completed with the support of Dr. John Joseph and Eryk Ríos, EWB and the technicians of La Calera. Engineers Without Borders – UTSA Student Chapter provided the blueprints. Three additional 10,000 liter tanks were installed at a cost of $10,000.The municipality dug ditches using heavy machinery at a cost of $3000. Texas Partners of the Americas coordinated donations from private entrepreneurs. 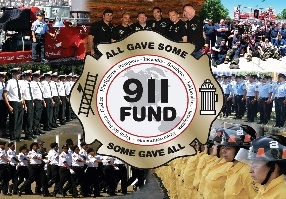 $10,000 was invested to purchase pipes, cable, tanks, and other essential materials. Mrs and Mr. Beatriz and Tayo Macías, (La Calera) provided transportation assistance ($1000 approx.). In December, 2017 the UTSA-EWB student chapter will continue the water project. They were forced to postpone the trip due to recent natural disasters in Peru. UTSA students continue to raise funds for completion of the water project and will prioritize an assessment of piping facilities, purchase a submersible water pump and provide training on how to maintain tanks and analyze existing water. A celebration of the completion of the of drinking water project is in the planning phase. In December 2016, students from the Villarreal University of Lima (24 volunteers) helped with preparation of building materials, food preparation, and child care so parents could construct a new community center. 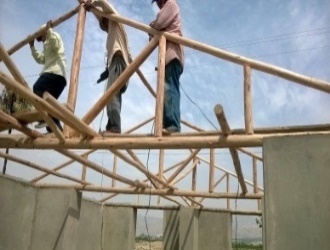 $5000 in Guayaquil wood, cement and electrical materials was purchased. Architect Joseph Izaguirre, Perutectonica AD & C (local aid) provided the necessary plans for the monitoring of the construction of the community center by the local community. Also, Young Ambassadors, Youth in Action, and volunteers from Piura and Lima had the opportunity to make repairs and improvements to the prefabricated dining room. The wood was treated, new shelves were installed, and the water tank was installed for the bathroom of the village dining room. 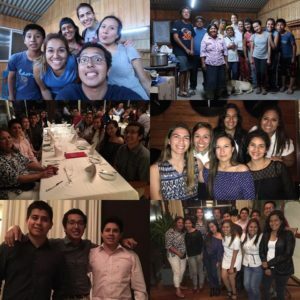 In December, together with young volunteers (Piura y Lima), Jóvenes en Acción, Texas-Perú, Jóvenes ambassadors, Peru-Texas, we held a special thanksgiving dinner to thank our wonderful groups of volunteers; Youth Ambassadors Texas-Peru (delegates from 2007-2015), Youth in Action and local volunteers. It was an unforgettable evening and a wonderful achievement to see three groups of volunteers with different needs united in a single cause. FUNDACION DEL EMPRESARIO SONORENSE. A.C.
En el mes de Agosto del 2016 la delegación FESAC liderada por la Sra. Roció Rodríguez organizó la visita a instituciones en la delegación, DIF y FESAC, conjuntamente con el Alamo Communuity Colleges y Texas Partners. El propósito fue de presentar a la Alianza de Sociedad Civil que construirá el proyecto: Las Villas del Papa Francisco con eco técnicas para la construcción y la sustentabilidad de espacios. Se lograron oportunidades para acceder a recursos, transferencia de conocimientos y vinculación del proyecto a más organizaciones en beneficio del mismo. 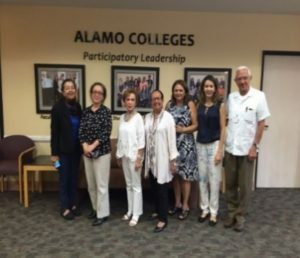 Durante su visita a San Antonio, tuvieron la oportunidad de visitar varias instituciones vinculadas al propósito del proyecto: centros técnicos educacionales del Alamo Colleges. Haven for Hope, Food Bank, Ronald MacDonald House, el Consulado de México y otros. Como resultado de la relación establecida por FESAC con ambas instituciones se propusieron al proyecto de Villas del Papa Francisco”, la vinculación entre organizaciones será para el potencial y alcance que representan en esquemas colaborativos. También se lograron alianzas en lo que será parte de la formación integral de los niños que albergan las Villas del Papa Francisco. Esta alianza con Alamo Colleges, consiste en la Formación de Educadores y Maestros en el Programa Leader On Me de Stephen Covey. A menos de dos meses de esta visita delegada Texas Partners y Alamo Community Colleges visitaron la ciudad de Hermosillo, para conocer el lugar donde se desarrollara el proyecto y explorar más formas de colaboración que permita contar con un albergue con enfoque sustentable, amigable con el medio ambiente y que permita potenciar los recursos naturales de la región Las Villas del Papa Francisco serán el hogar para niños, hijos de jornaleros agrícolas, migrantes asentados en el poblado Miguel Alemán. Pudimos participar en la recaudación de fondos más grande con el concierto: Placido Domingo” le canta a Sonora. ENCUENTROS ENTRE CONSEJEROS DE FESAC, TPOA Y ACC. Consejeros y Staff de FESAC, se reunieron con Iliana Q. Díaz, Presidenta de TPOA, Capitulo Texas y con Gloria Almeyda del área de Programas Internacionales del ACC. La reunión tuvo como propósito conocer la forma de trabajar conjuntamente e intercambiar experiencias, mejorar prácticas y buscar formas de colaboración de las comunidades que atiende FESAC. Partners of the Americas held its bi-annual convention in Guadalajara, Jalisco- Mexico from 25-29 October, 2016. The theme of the convention “Inclusion and Innovation in the Americas” encouraged attendees to learn from each other, build new partnerships, and be empowered by using new tools and tactics that work. This convention was especially important because our network in Mexico is in a period of growth that we would like to encourage. We would also like to create connections between Mexican institutions and contacts in other parts of the hemisphere. 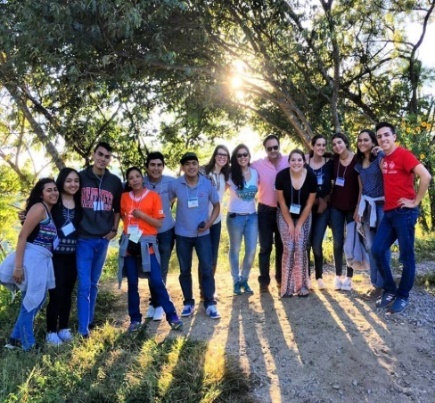 The young people came to the city of Guadalajara for the conference that addressed the issues of education, health, and technology. Also, they enjoyed the youth retreat in the ecological park in the city of Tamazula where they discussed subjects pertinent to the youth of today and exchanged cultural aspects of their countries.